This was a substantial new-build in the lower North Shore of Sydney. Spanning five floors the owners wanted to automate all electrical subsystems in the home to allow for simple and intuitive operation. Part of the brief was the incorporation of a high quality dedicated theatre. 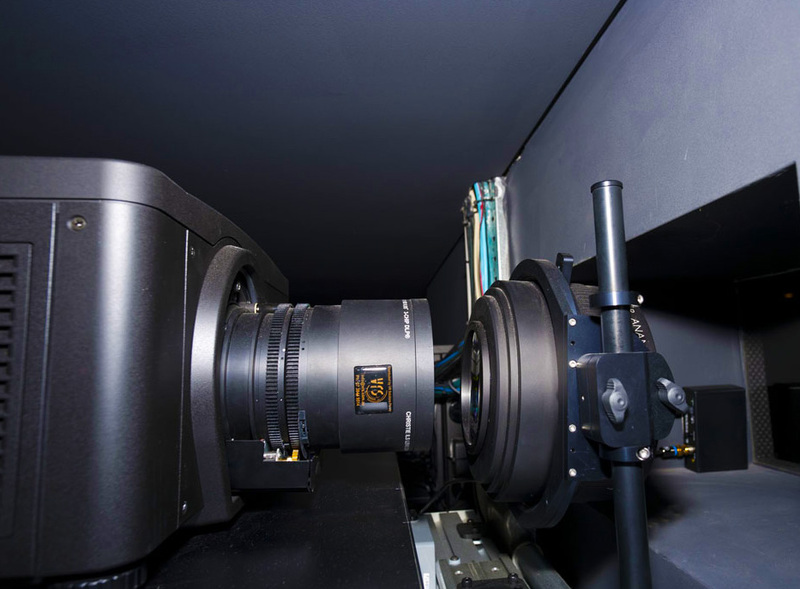 The Theatre is a very high-end design utilising a 201” Stewart micro-perforated screen, a Christie digital projector and Schneider anamorphic lens. The speakers are Bowers and Wilkins 800 series in-wall with multiple Velodyne Direct Drive (DD) subwoofers. A Crestron Procise processor and nine Meridian stereo power amplifiers form the heart of the electronics. The room was wired with AudioQuest speaker cable. There are 24 zones of audio fed by a Sooloos Music Server and multiple Arcam FM/DAB+ tuners, all driven by Crestron power amplifiers. As the brief was to ensure that the installation was as discrete as possible Stealth Acoustic invisible speakers were used in all primary living areas. B&W and SpeakerCraft speakers were used elsewhere with the exception of the outside zones where James Audio was utilised. There are also ten zones of distributed video (including three surround sound areas) fed by multiple Panasonic Blu-Ray players and a Kaleidescape movie server. Panasonic screens were used throughout. Due to the complexity and scale of the project Crestron was chosen as the control system, controlling in turn the Dynalite lighting system (installed under our supervision by a third party contractor). As well as controlling the audio and video throughout the premises the Crestron system also controls lighting, window coverings, irrigation, CCTV system and security. There were a number of rooms where the clients do not want the TV screens to be on display unless they are being used. 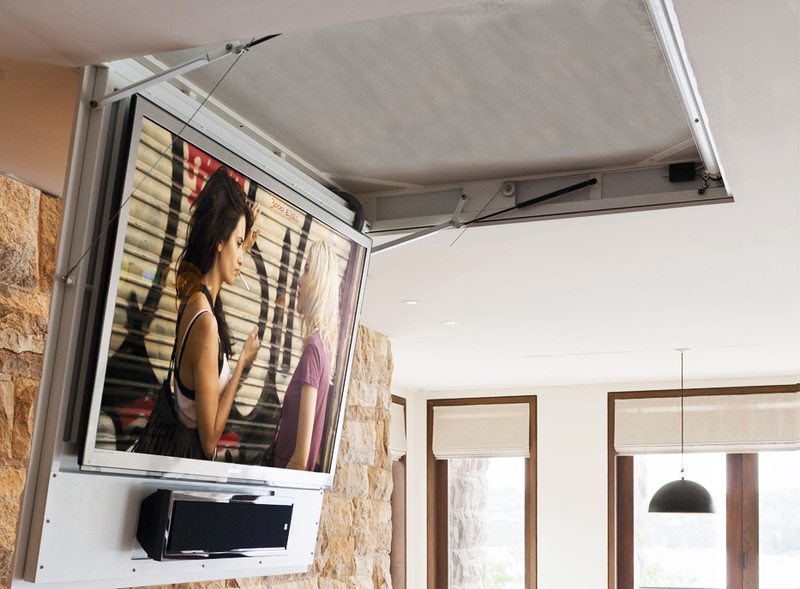 Australian manufacturer Ultralift make a number of solutions, including lifts that will raise a screen out of the cabinet, or drop the screen from the ceiling, with both options being used in this project. One of the advantages of dealing with a local manufacturer such as Ultralift is that they have the means to modify existing design, or build to order, and was the case for this client. In the living area it was necessary to build a swing down lifter that not only dropped the screen from the ceiling, but also was able to fit the sound-bar as well. With any large scale installation, particular one involving automation, it is necessary to allow space to house the necessary components. 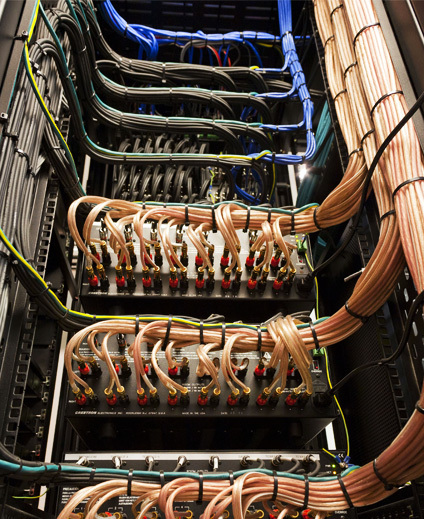 It is also essential that these components are housed in a manner allowing easy access, that they are correctly ventilated, that all cables are labelled and that the finished product is neat and tidy. 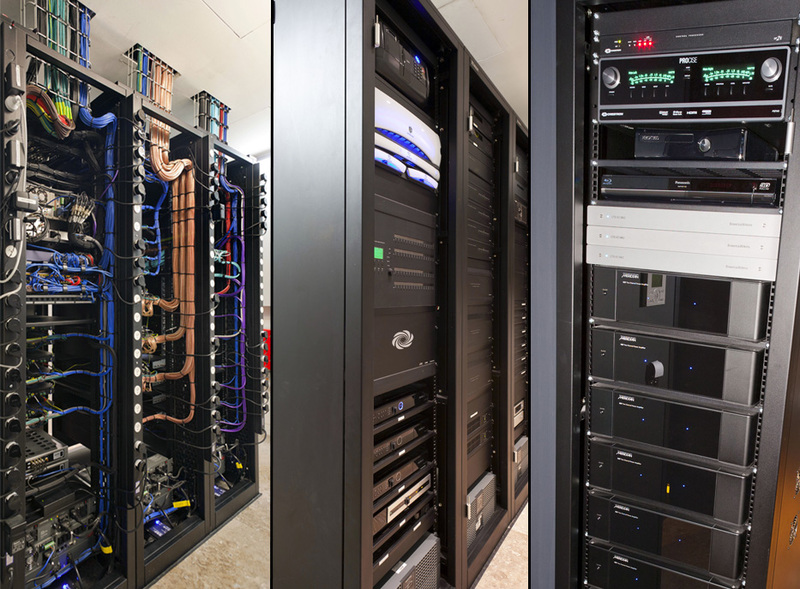 This was a lengthy and complex process, utilising five full height Middle Atlantic racks, but as you can see the results are impressive, and certainly worthy of the ‘Best dressed system’ CEDIA award. Almost all video projectors are designed to work with a 16:9 video format screen (the same shape as your TV screens). However most modern movies are filmed in a more stretched format, the most popular being 2.35:1, and appear on your screen with black bars above and below the image. While we are starting to see the emergence of projectors that will natively display a widescreen image they are still rare, and expensive. The solution is to use a screen with the correct image ratio and then install an anamorphic lens in-front of the projector resulting in the image filling the full screen – just as it does in a commercial theatre.